47-inch x 25-inch x 8 ft. 11-inch Fire Rated Wood Attic Ladder with 300 lb. 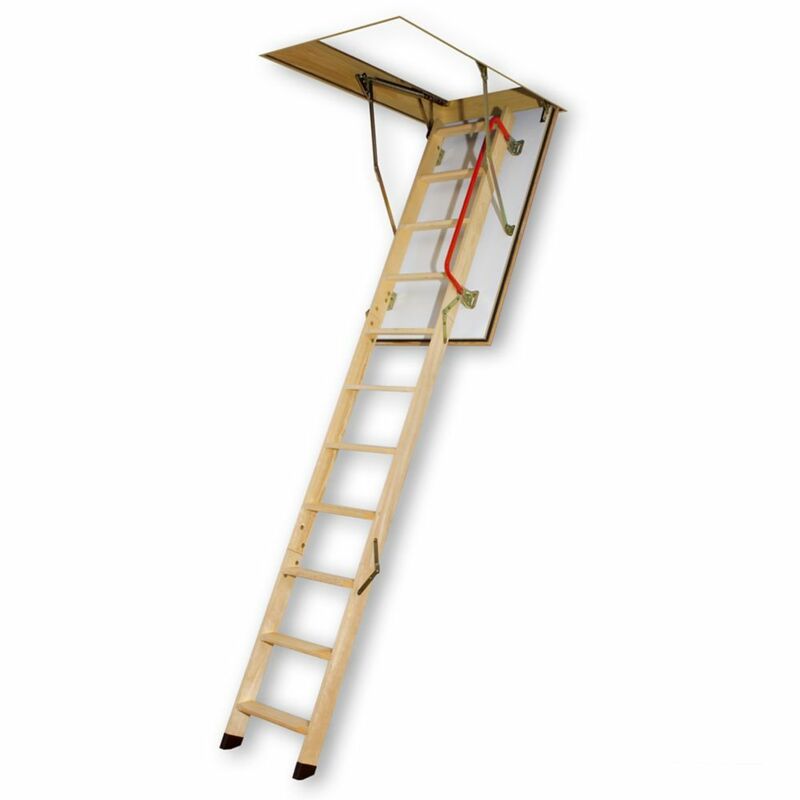 Capacity Type IA Rating Built to protect your stored items in the event of a fire, the Fakro Fire Rated Wood Attic Ladder is EL rated to resist fire for up to 30 minutes. The ladder is also insulated to prevent the loss of heat and constructed from reliable pine wood, with non-slip treads offering safe support when climbing. It can be adjusted to fit ceiling heights from 7 ft. 2-inch to 8 ft. 11-inch and is ANSI certified for safety. 47-inch x 25-inch x 8 ft. 11-inch Fire Rated Wood Attic Ladder with 300 lb. Capacity Type IA Rating is rated 4.0 out of 5 by 3. Rated 2 out of 5 by JF from A little dissappointed Steps very narrow. Purchased other brand ladders with wider steps which are easier to balance on. Rated 5 out of 5 by Paul from Great purchase! The Fakro 47 in. x 25 in. x 8 ft. 11 in. Fire Rated Wood Attic Ladder with a 300 lb. Load Capacity, Type IA Duty Rating, is working out great for me. I had someone install it and it's super sturdy. The sturdiness and wider opening makes it easier to put bulky items in the attic and it is fire rated. The ladder is solid! The first ladder I ordered had a crunch in the door so I took it back and re-ordered a second ladder. Home Depot called the company who gave me 10% off for the inconvenience. Rated 5 out of 5 by Paul from Jeff P The Fakro 47" ladder is noce to have. The ladder is constructed very well. The wider open really makes a difference. And, the ladder is solid making it so much easier to go up/down while carrying items up/down from the attic. I was only able to view the ladder online but what a great choice I made.